Eur-Usd do a bit ranging last week. Thursday Price broke dynamic Ema layer and Friday price retrace a bit and make a clear INSIDE BAR. 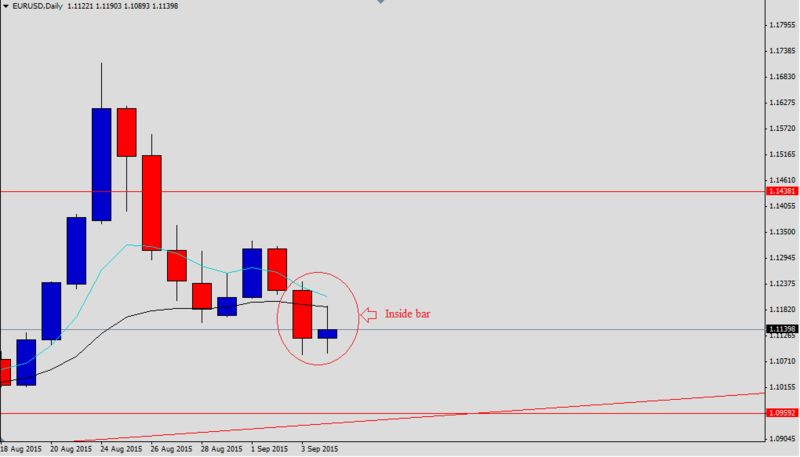 Now we can trade this setup using inside bar breakout. I personally put a sell stop order at Friday bar low (1.10893). Hope this setup will work.